I am the proud owner of an Apple Thunderbolt Display (2560×1440). It has an outstanding image quality, comes with built-in microphone, speakers, and autofocus FaceTime HD camera. 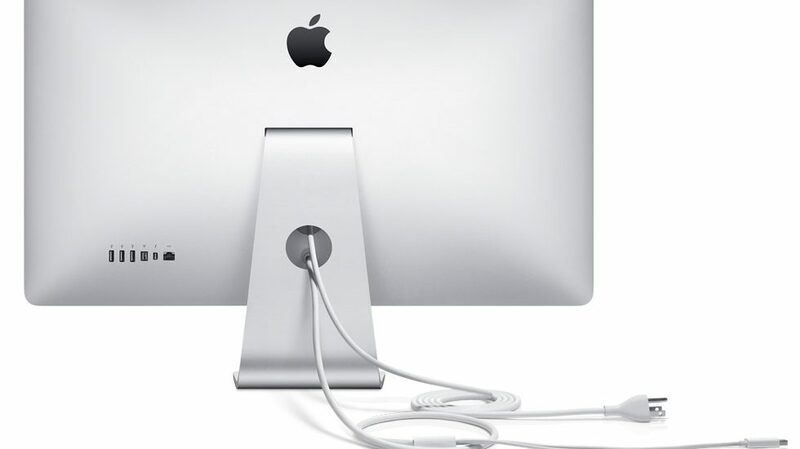 On the back, it has three USB -, one Firewire -, one Thunderbolt, and one Ethernet port. There is also this single bigger cable to the Laptop, combining Thunderbolt and power and keeping the desk neatly organized. 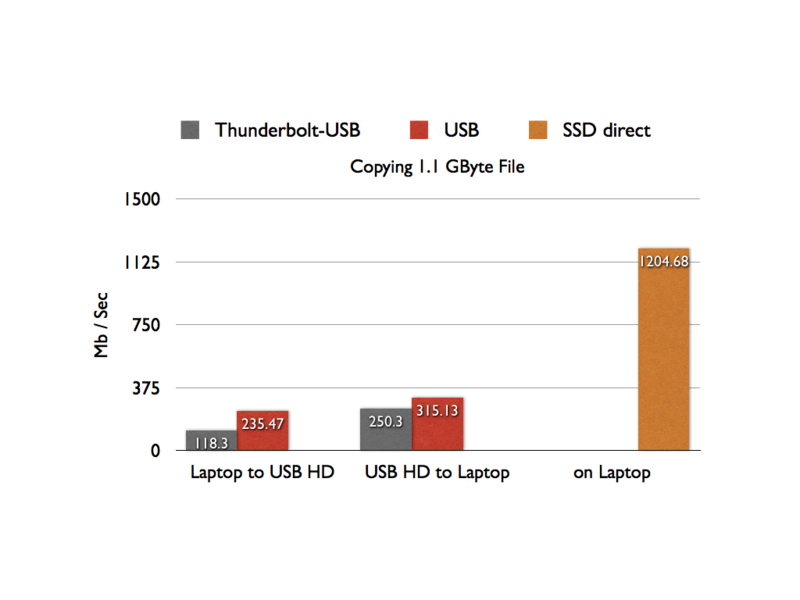 For a year or so, I have an external USB Hard-drive (Western Digital 2 TerraBytes) connected to one of the display’s USB ports. I’m mainly using it for Time-Machine backups and storing application disk images etc. Since all cables disappear behind the display and not cluttering my desk, I never thought about connecting the hard-drive straight to one of the Laptop’s USB ports directly. However, as it turns out, my nice and neat setup comes with quite a penalty. 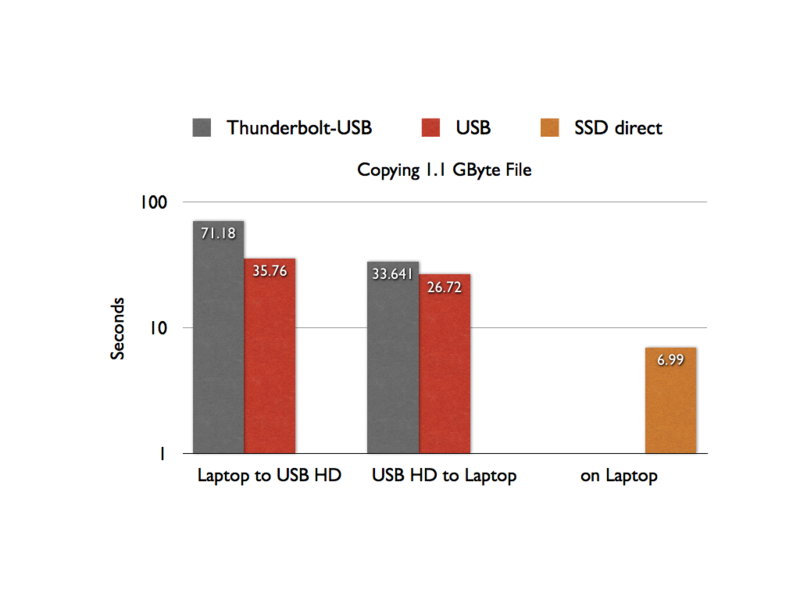 With the setup described above, 15 inch Macbook Pro connected to a Thunderbolt monitor, which is connected to a 2TB WD external USB Hard-drive, I picked a roughly 1GB movie file and copied it form the Laptop’s 500 MB SSD to the external hard-drive. After that I reversed the process and copied the file back from the external drive, on to the internal solid state drive. I ran every copy three times but recorded only the fasted time. Then I unmounted the drive and connected it straight to one of the Macbook’s USB ports, i.e., not sending the data through the Thunderbolt display. Again, I used new names, i.e. didn’t override an existing file, and no other user applications but the Terminal were running. I know, this is not a very scientific test but you can see that writing files to the external hard-drive, when it’s connected to the Thunderbolt display is quite a bit slower, takes about twice as long. When reading files back from the external drive, the penalty is not as bad. Just for fun, I also measured the time (and data-transfer speed) it takes to copy the file on the SSD.